I’ve swooned over Dillard for years now. Underlined her words, scribbled madly in the margins, transfixed by the way she spins language. Rolls it around, like a marble between her palms. Annie stands on the “grass with the lights in it,” the grass that is “wholly fire,” and watches the tree. Watches until its colors die and the cells unflame. Her tree, blazing at every nook, has stalked me. It’s an image you don’t forget. And as Doug lit our last lantern I thought, this will be our tree with the lights in it. Dillard’s tree is a symbol for God abreast in the world. A divine presence flaring right at her feet. And on Easter Eve, our lanterns meant just that. There were seven of them. One for each person in our family. A silent vigil, an offering to the unlit streets of our knowing that the Light of the World lives. “I am the light of the world. He that followeth me shall not walk in darkness, but shall have the light of life” (John 8:12). Before the sky pitched black, I brought the girls out to look at the lanterns. We talked about the resurrection, the stone rolled away, and our anticipation of Easter morning. They were enamored by the floating lights. Some of the symbolism was lost on them, but I hope as they mature, this tradition will mean something to them. That they will kindle a desire to hoist their own candle, let it confidently shine. My friend Michelle and her son Gabe stopped by while we were making our lanterns. They watched us turn wire and fill jars. My girls got a little silly, dropped beans into the hood of Gabe’s jacket, trickled them over his head. Darling Gabe was a true sport. We handed over supplies so the Lehnardts could make their own lanterns. They used smaller jelly jars, and you must see their tree with the lights in it. See what a real photographer can do, with light. The lanterns were still burning when I went to bed after midnight. Easter morning, sunlight splintered over the mountain and the blossoms split open. We made it to our 9AM church service (almost) on time and after church we hid Easter baskets. I’m a pushover for marshmallow chickies a few days old. Anyone else? In every photo, a drip of chocolate is running down Gordon’s chin. I think he ate more goodies than all the girls combined. Spencer’s happy smile, complete with green marshmallow bunny at the corners of his mouth. That evening we had dinner at my parents and our annual easter egg hunt. I love this photo. Look at Spencer’s face, the pink egg perched high, and the man in the middle who can make it happen. And here is our piñata. Our darling neighbor Laura left a short message on our phone one night while I was putting kids to bed. She said, “Hi. There’s something on your doorstep… Bye.” Inside a white sack we found all the supplies necessary for making her piñata, including candy, a craft for the kids, and a string of colored lights for the girls’ bedroom. Laura, you are as selfless as the day is long. I love you. Unfortunately, the battery on my camera died right after I snapped this photo and I didn’t get any action shots. But I will say, the piñata was a huge hit with the cousins (and super easy to make). This morning, as I was “taking down” Easter, I glanced outside to find the four twinsies at the edge of the driveway setting up shop. The milk box had been emptied of its contents, jugs were scattered across the grass, and Sami was carefully markering a sign. Freshly-picked daffodils were for sale, along with an assortment of treasures. All sales persons were still in their pajamas. While talking with my friend Martha, the boys carted milk jugs into the backyard. Minutes later they returned, their bottles half-full of daffodils – buds of yellow that hadn’t even opened yet. Dozens of them. “For you Mom. We picked flowers for you!” they said. Don’t get mad, I thought. Just get the camera. And as I walked into the house I could see that every daffodil along the perimeter of our yard was now swaying headless. I clicked the camera and had to laugh. Sometimes my children are the tree with the lights in it. I’m walking along, thinking of nothing at all, and suddenly, there they are. Right in front of me. Wielding an innocence so pure and fiery-white I have to stop. They are charged and glowing, every cell buzzing with flame. I am still ringing from the beauty of our Easter week – from the candles in our tree, the smiles over baskets, and the light caught in my boys hair as they tip-toed across the grass, daffodil bottles swinging from their hands. Your boys picking all the daffodils made me think about how my youngest boy shopped off all the buds on the pionies and the poppies and some other flowers playing swords some years ago… When they are so small they are just thinking about whatever they are doing this very moment and that is so sweet, even if you sometimes wish that they hadn´t done just THAT thing. The swedish auther Astrid Lindgren said it so beautifully when she talked about childhood as the paradise to which us growups do not have access anymore. I´m so glad my children had the previlige to grow up in this place not having to be too big too soon, which so many children today unfortunately have to do. Thank you for showing the world the inocence of children growing up the way they are supposed to. Hugs! Monica – "The paradise to which us grownups do not have access anymore…" – ah, love Lindgren (Eliza and I are just finishing Pippi). She speaks it perfectly. I want to do all I can to preserve that paradise. Thanks for the peonies story (swords? Ha!) and your wise thoughts. Love the piñata idea! Your kids are just too sweet. Would never have made the piñata, had it not been for my friend Laura. Instructions on her website. My tip: go for thin layers, ring out the paper towels or napkins before applying. We had to start over b/c I'm kind of a ninny when it comes to crafts. Hope you're well. I always appreciate your comments. You do such beautiful things and make such beautiful memories. I am in awe of you, as usual. I'm weeping a bit for the daffodils. Tell them to pick them low to the ground next time and I will buy a bunch. Thanks for making our lantern tree happen– I love yours even more! Bring your pennies next year. We'll sell them to you. And maybe we can mail some to Kellie G 🙂 – did you see her comment below? Love you. congrats on getting your camera instead of getting mad. You'll have plenty more daffodils next spring, they multiply. My girls are always "setting up shop" too. You are a beautiful Mother. We enjoyed your Easter lights. Thanks for sharing with us. And, what creative boys…. props to you on embracing the moment. My friend and her 4 young children were staying with her Mother in Law who had tendancies to be a bit stern. The kids were picking some of the MIL's flowers from her yard and she was very upset with the kids. When my friend approached her about it, her MIL said, "well what do you think the people who come to visit will think if they come and there are no flowers?" My friend answered, "I would hope they would think, "Oh look, she is raising children." That's not to say that I don't try to teach them to respect our things, I just need to remember that they are more important when something negative has happened. I'm making lanterns next year because of your generosity, Cath. Thank you! And please tell your kiddos that someone in Australia would have bought their daffodils – they're my favourite and impossible in my climate! Alex – xo. miss you. Bonnie – the awe is flowing your way. dinner after tax season? Kara – I'm always so happy when I see you've been here. Love you dear friend. Bec – thanks for stopping by to see the lights, and to Neil for lighting them on Sunday. Love you. kt – "Oh look, she is raising children." That is classic. We ought not to worry about the "fluff" right? Thank you for your wonderful story. Hope you and your family are well!! Kellie – I think you're due for another visit to the states. Come Spring and we'll load your arms with daffodils. I'm so glad you're going to make lanterns next year. Next Easter I'll think of your lanterns glowing on the other side of the world and smile. Love you Kel. Hmmm….the daffodils remind me of our first house and our first garden, and our excitement over all the lovely tomatoes we would enjoy come late summer. Well, 2-year-old Erin enjoyed them the most–she and a little neighbor friend picked every one of the small green balls and threw them at each other. I walk out as her hand closed over the last one…. Kathy – what a story. I hope Erin reads your comment! "her hand closed over the last one"…. the image, I can just see it! Mika – sadly, all Peeps are gone completely. They lasted a few days, but I'm not the only one around here who likes them! I do have one chocolate bunny left, tucked into a cupboard! 😉 Enjoy your last candy egg! Oh I so love this, Catherine. I love reading what you write. 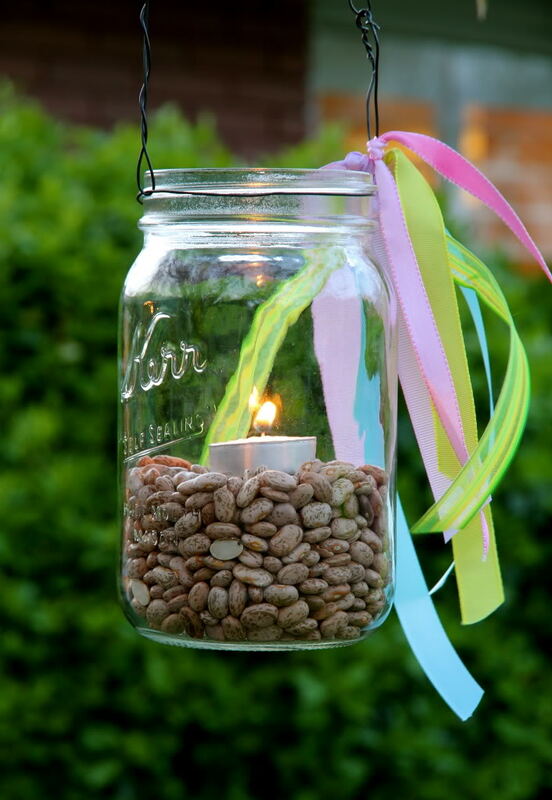 I love the Easter lanterns (next year, I must! ), the story of the beheaded daffodils (bless you for not freaking out), tough marshmallows, and the genuine day-to-day-ness. Dear Cath, your kids are so sweet! Imagine: no flower left in its place, 'cause Mommy deserves them ALL! I remember I read on a blog about kids ruining the lawn and father saying: "no problem at all. we are growing kids here, not grass." I love Sami's Easter outfit!! Could you tell me where did you find that gorgeous dress of her? "growing kids, not grass" – so sage. thank you for your sweet comment. Sami's dress? Funny enough it was super cheap and from Costco, one of our biggest warehouse grocers here. Last Spring's line. Sending love to you in eastern Europe. That daffodil story is PRICELESS. Love you! Wow, you are such a beautiful writer. I love reading your blog. The lighted tree for Easter is a wonderful idea– I might steal it from you. And I am so impressed with your ability to laugh and take pictures of a moment that would've made me pretty upset. There are plenty of years for pretty flowers, but only a few short ones with innocent young children. Thank you for the reminder to enjoy it. "Sometimes my children are the tree with the lights in it. I'm walking along, thinking of nothing at all, and suddenly, there they are. Right in front of me. Wielding an innocence so pure and firey-white I have to stop. They are charged and glowing, every cell buzzing with flame." This brought tears to my eyes. LOVE.